Free up your turbo with this 3in catless downpipe. The stock catalytic converter is extremely restrictive and robs you of power. 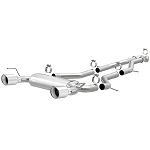 Our catless downpipe will allow the turbo to spool faster and the removed restriction will allow the engine to make more power. The stock downpipe weighs 13.5LBs, and the BNR catless downpipe weighs 5.8LBs. 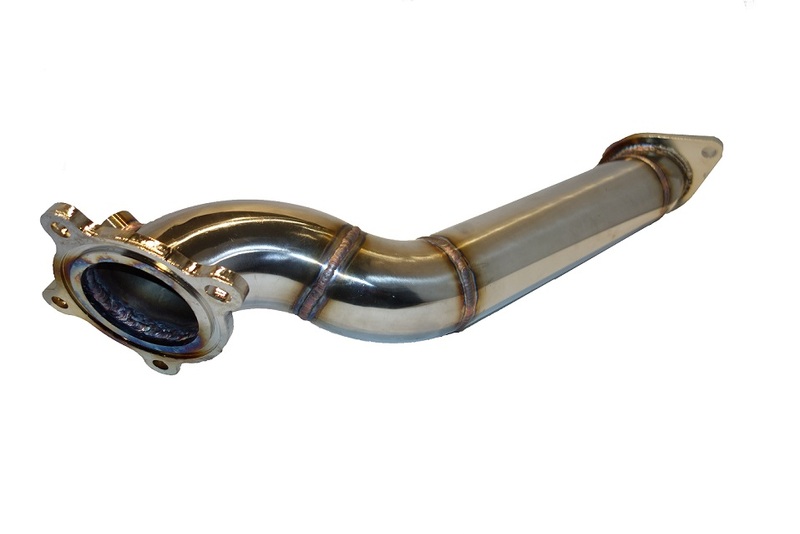 The BNR downpipe is heavy gauge 304 stainless steel with TIG welds for a clean weld on both sides- this guarantees that the welds WILL NOT crack or break. Expected gains are 10-20HP . No tuning is required but you will get a check engine light without disabling it with a tune. Fits RWD LTG cars: ATS, Camaro, CTS. Turbo spools alot quicker now. Love it. This downpipe does a great job of freeing up exhaust flow. Turbo spools a ton quicker in all gears. I have yet to get a tune update because of weather conditions here in the midwest but I cant imagine the torque difference with that update. Cannot wait for spring time to do another log & get another update. Way to go bnr for making a downpipe makes hp & doesnt crack or leak. Thanks a million! Beautifully made downpipe. Took about 45 minutes to install. Requires tune to avoid CEL. Much stronger, pulls much harder on my 2013 ATS4! Be sure to pick up new gaskets BEFORE pulling old pipe, if car is your daily driver!